The 2010 Topps Opening Day baseball card set is a 220 card set that features players of the day along with one legendary player from the past, #7 Mickey Mantle. The front of the 2010 Opening Day cards feature photographs of players in action surrounded by the a plain white border. The backs of the cards include a small picture along with biographical information and statistics information. 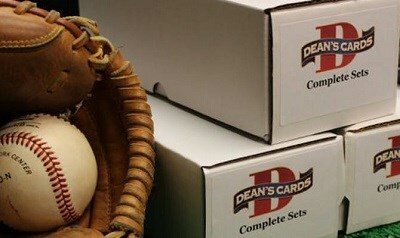 The 2010 Topps Opening Day set also includes several special sub series. They are Topps Attax (#ODTA1-25), Superstar Celebrations (#SC1-10), Mascots (#M1-25), Topps Town Stars (#TTS1-25) and Bazooka Joe (#WBJ1-10). Notable rookie cards in the 2010 Topps Opening Day set include #207 Buster Posey, #209 Madison Bumgarner, #216 Daniel McCutchen. Showing 1 to 100 of 243 products.